My fave photo of Ana and Santa 2012 taken at Adams. 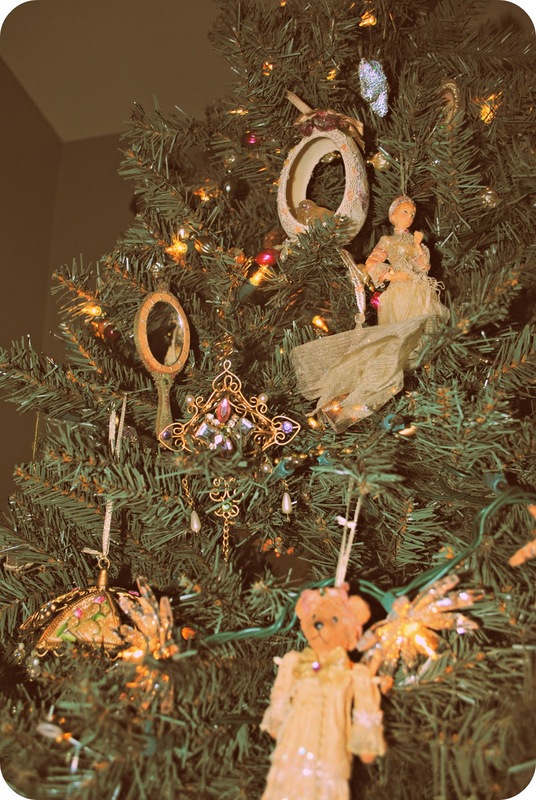 characters, over the top bright colors, or silly decor so for our first holiday tree I chose antique pink, gold and beige for our colors. And now , years later they are still the colors I am drawn to for the holidays. Especially the gold. I will take better photos when we are all finished decorating, but for now I took some photos of our fireplace mantel, tree and some of our snowmen in our kitchen. 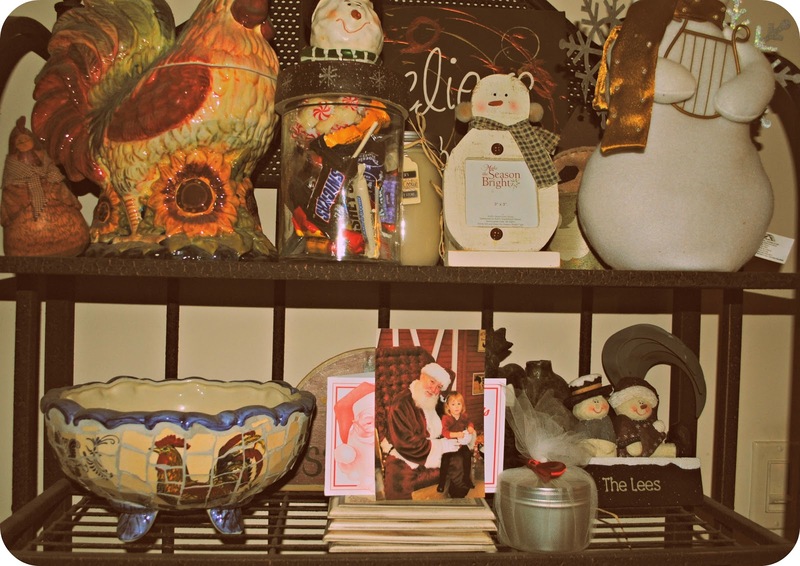 My mom started me on a snowman collection and Ana loves them, so that is where the fun comes into our holidays. I will take photos of our outside lights soon as well, I am always so tired at night this time of year, lol. 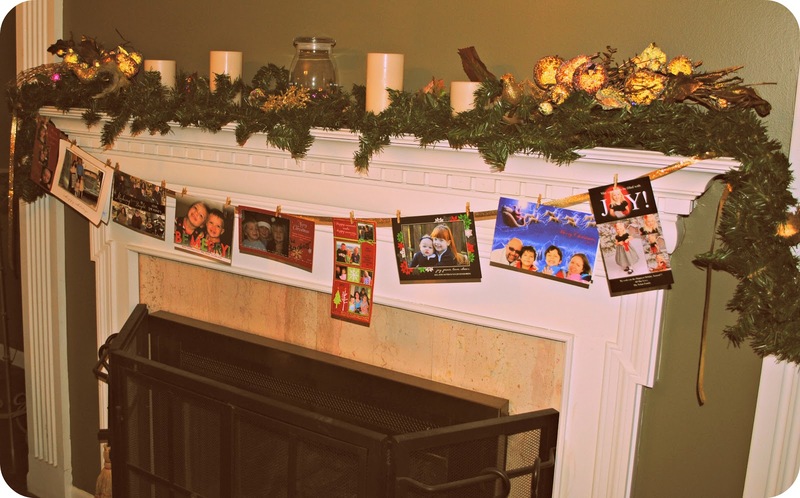 I made the card holder with gold ribbon, painted little clips with gold glitter paint and attached it to the sides of the fireplace. 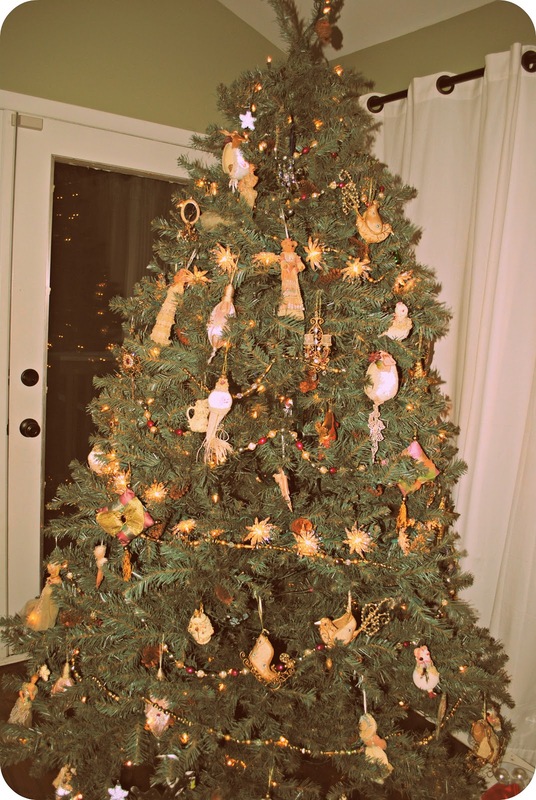 Everything on the tree is gold, pink or off white and the lights are sparkly off white as well. Then, the beads are golden and pink, it is hard to tell in these photos. Victorian gloves, mirrors, umbrellas, clothing, teddies and dresses with starburst lights. Here is a closeup. Snowmen and roosters? why not? 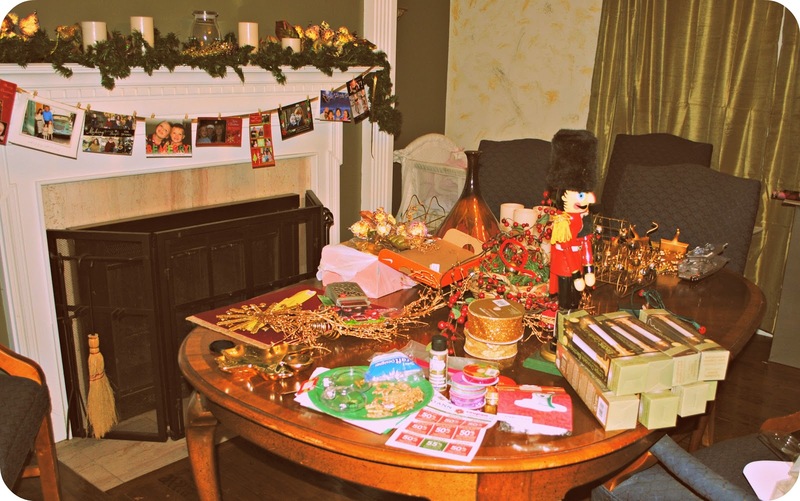 Crafting and assembling has taken over the table! I feel like I will never be finished. But, crafting is fun!!! What a beautiful Victorian Christmas tree. Looks warm and inviting. 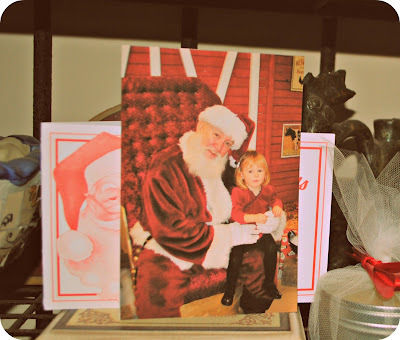 A new follower from the Meet and Greet Blog Hop. Your table is just like my table!! Lots of stuffs to get done, but I agree... crafting is so much fun! 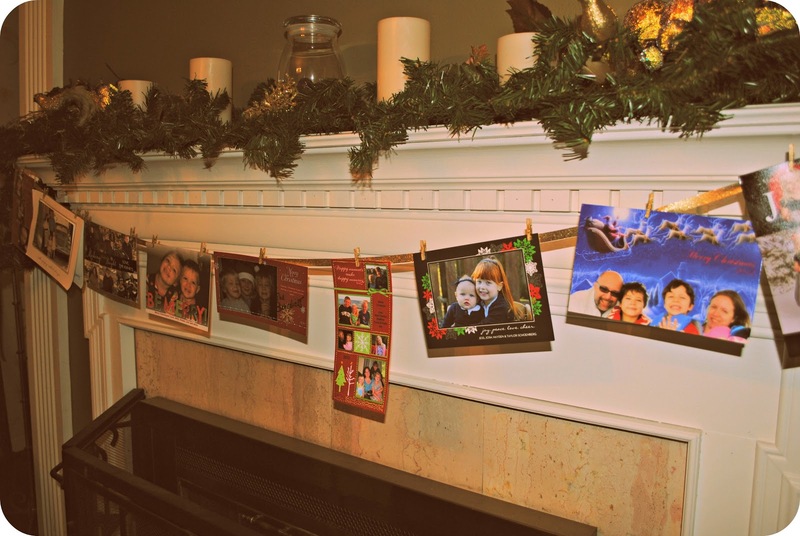 Btw, I love how you display your Christmas Cards! And, coming soon... "Celebrate the Bump!" I love the mantle and tree so much! It looks so elegant and I love Victorian style. Hope you have Happy Holiday! This tree is beautiful. I love all of the vintage looking ornaments.